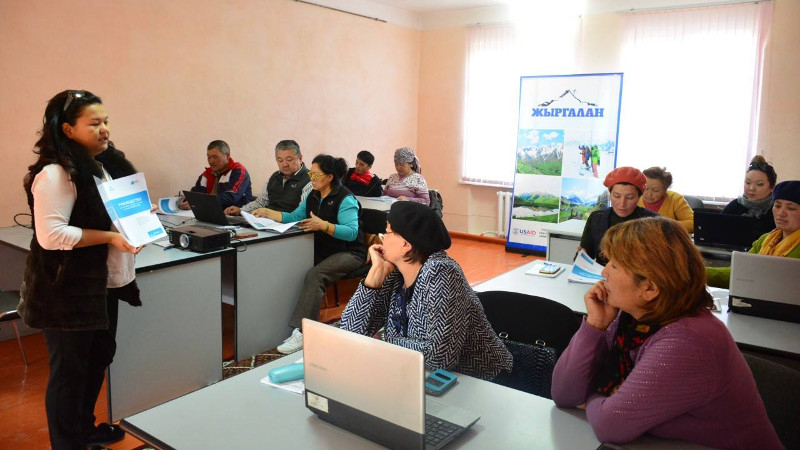 AKIPRESS.COM - In November, the United States Agency for International Development (USAID) conducted a series of hands-on training for Kyrgyzstani guest houses and yurt camps on registering and promoting their businesses on international booking sites. As a result, 39 new guest houses and yurt camps in Naryn and Issyk-Kul are now listed on Booking.com, the U.S. Embassy reports. Opening this electronic doorway to international travelers helps guest house owners rent their rooms and earn greater returns on their investments. Booking.com, one of the primary internet sites for making room reservations throughout the world, books more than 1.2 million overnight stays each day. Local hoteliers and yurt owners can now use this platform to advertise their properties and better manage their reservations. Some businesses in Karakol for example report that they book up to 40 percent of their reservations during high summer and winter seasons through Booking.com. “For a long time, I haven’t been able to get my guest house registered with Booking.com. During the training, I was able to register in a few minutes. I can now manage the international reservation requests directly.” said Gulmira Tilebaldy kyzy, owner of the Emily Guest House in Bokonbaev village. This training is a part of USAID’s broader effort to promote Kyrgyzstan as a tourism destination in the international market. USAID’s Business Growth Initiative has facilitated Kyrgyzstan’s participation in major international tourism fairs, invited numerous travel bloggers and media, and trained local businesses to meet international standards. The goal of the project is to strengthen key economic sectors in Kyrgyzstan including tourism, agriculture, apparel and construction. USAID will continue to support all participants to help them continue to use the system and promote their businesses online.